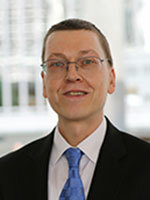 Dr. Klaus Deininger currently serves as lead economist within the agricultural and rural research unit of the World Bank’s Development Research Group, a position he has held for the past thirteen years. His research focuses on land policy, distribution, and markets and has been cited tens of thousands of times, making him the fifth most cited agricultural economist in the world. Deininger earned an M.A. in theology from the University of Bonn and an M.S. in agricultural economics from the University of Berlin before earning his Ph.D. in applied economics at the University of Minnesota in 1993. Following his graduation, Deininger begin his career at the World Bank, first in the Young Professionals program, then advancing to the positions of economist in the Office of the Director of the Policy Research Department and senior economist in the Development Research Group. In 1999, Deininger initiated the first World Bank Conference on Land and Poverty to discuss challenges and research in land policy design and implementation. In the seventeen years since, the event has become an annual gathering of over a thousand of the world’s top land policy stakeholders from 125 countries. Deininger settled into his current role as lead economist at World Bank in 2003. In this position, he has worked extensively to address knowledge gaps in land distribution, markets, and policy by working in collaboration with researchers in developing countries and publishing findings in World Bank reports accessible to policymakers. Deininger has authored more than 80 journals and books and acquired nearly 18,000 Google Scholar citations. In 2003, Deininger wrote a World Bank Policy Research Report based on consultation meetings with stakeholders in Cambodia, Hungary, Mexico, and Uganda. The report’s insight on agricultural policies in developing countries moved the European and African Unions to develop land policy framework. Deininger and his team later developed the Land Governance Assessment framework, which has now been applied in more than 40 countries.